It’s a country of superlatives—second only to China in population, India is the world’s largest democracy. Hinduism, Buddhism, Jainism and Sikhism all began here—with Christianity and Islam also finding a home here. At the crossroads of ancient civilizations and empires—modern-day India is a fascinating mix of this diverse cultural heritage. Starting at the headwaters of the Ganges, visit Rishikesh—a center for yoga and meditation since the Beattles first visited in the ’60s. Continue north to Dharamsala (McLeod Ganj) for the Dalai Lama’s residence in exile, and beautiful Manali, a center for hiking and outdoor adventures. Further north the forests give way to the high-altitude desert of Ladakh where Tibetan Buddhism is widely practiced in cliff-top villages and monasteries. India’s first city is a vibrant capital of stunning architecture and monuments, temples, mosques, great restaurants and even better shopping. A few hours away in Agra, the Taj Mahal is India’s can’t-miss monument. Visit the land of Kings for magnificent forts, palaces and temples—and the colorful cities of Jaipur (center of textiles and jewelry), Udaipur (the lovely lake palace) and Jodhpur (the blue city). In the far west, explore the otherworldly city of Jaisalmer with its spectacular 12th-century citadel that’s still inhabited, and take a camel safari into the Thar Desert. Rathambore National Park was the former hunting grounds of the Maharajas of Rajasthan that today is one of the few places in the world where it’s still possible to see Bengal tigers in their natural habitat. 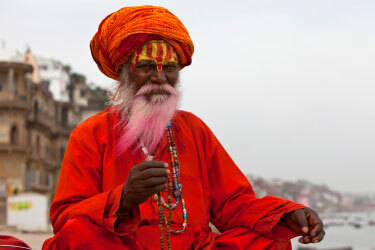 Visit the ghats on the River Ganges to see where the Hindu faithful come to pray, bathe, and cremate their loved ones, assuring eternal salvation. Relax on golden beaches of Goa, to enjoy the delicious combination of warm waters, fresh seafood and the remnants of Portuguese culture in a kicked-back atmosphere. Lush, tropical Kerala is best known for its backwater network of lakes, lagoons and canals that can be cruised by traditional palm-thatched houseboat at a leisurely pace—and as the center of Ayurvedic medicine. Get a massage or a multi-week treatment for what ails you at one of many beachfront resorts. Hike around the hill stations of Munnar and Thekkady, staying at a tea or spice plantation. 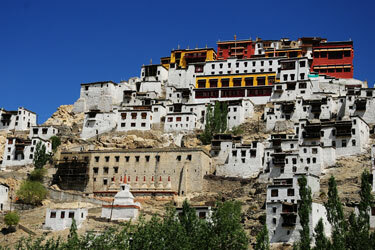 The Himalayas and Ladakh are best visited May – September. For the rest of the country where summers are extremely hot, the best times are November – March. 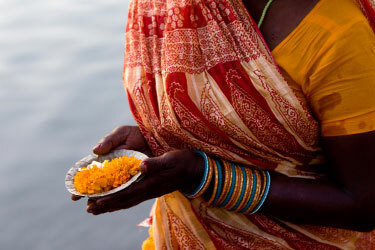 "India wasn't on my bucket list, but when I saw Ponte Travel's Rajasthan tour I was so intrigued I signed up. It was one of the best travel decisions I have ever made. Not only was the two-week trip affordable, it was the perfect solution for me. From pre-trip arrangements through my departure, I was kept up-to-date on tour details. The Indian travel company Ponte Travels worked with provided an excellent driver (Ajay) and professional guides at each stop who brought India culture and art alive for us. 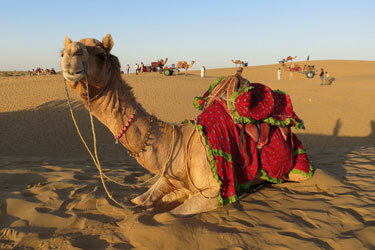 I will always remember watching the sunrise in the holy city of Pushkar and the sunset camel safari in the Thar desert. Marta and Heather were not only great travel consultants, they were wonderful traveling companions. No doubt, I will join another Ponte Travel's tour."